Announced back in December, Warner Bros. Interactive Entertainment have revealed the launch trailer for The LEGO Movie Videogame, which you can check out below. You can also read the full press release on the game, available today, to get all the details! Step into a LEGO game unlike any other and become a true Master Builder! Warner Bros. Interactive Entertainment, TT Games and The LEGO Group today announced The LEGO Movie Videogame is now available in retail stores for Xbox One, the all-in-one games and entertainment system from Microsoft and the Xbox 360 games and entertainment system from Microsoft, PlayStation 4 and PlayStation 3 computer entertainment systems, PlayStation Vita, Wii U, Nintendo 3DS hand-held, and Windows PC. The LEGO Movie Videogame, released with the highly anticipated “The LEGO Movie,” from Warner Bros. Pictures, Village Roadshow Pictures and LEGO System A/S, takes players on an awesome adventure through fantastical LEGO worlds, including Bricksburg, Cloud Cuckoo Land and the Wild West of Flatbush Gulch. And for the first time ever in a LEGO game, all environments are made entirely of digital LEGO bricks. 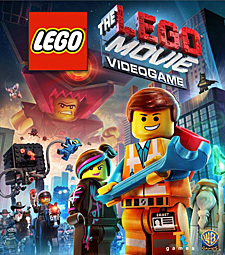 Based on the humorous and action-packed events from the film, The LEGO Movie Videogame puts players in control of Emmet, an ordinary LEGO minifigure mistakenly thought to be “The Special” — a character prophesized to save the world from an evil LEGO tyrant. Using the abilities of more than 90 characters inspired by the film, which include an unlikely cast from some of the world’s most beloved and well-knowing properties, including DC Comics Super Heroes like Superman, Batman and Wonder Woman, family members of all ages will navigate 15 exciting levels in the console version and 45 action-packed missions in the handheld version. With unexpected moments and twists at every level, gamers will build their way -through a uniquely LEGO adventure on their ultimate mission to bring creativity to their LEGO world. Among the playable characters in the game are fan-favorites from the film like Emmet, voiced by Chris Pratt; Vitruvius, voiced by Morgan Freeman; Wyldstyle, voiced by Elizabeth Banks; Batman, voiced by Will Arnett; and Lord Business, voiced by Will Ferrell. 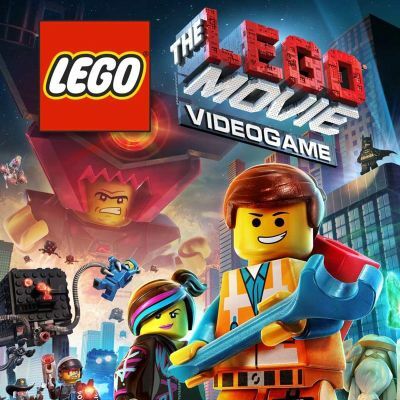 The LEGO Movie Videogame is rated “E10+” for everyone 10 and older by the ESRB and is now available for Xbox One and PlayStation®4 for the suggested retail price of $59.99, for Xbox 360, PS3™ and Wii U™ for the suggested retail price of $49.99, PS®Vita and Nintendo 3DS™ for the suggested retail price of $29.99 and Windows PC for the suggested retail price of $29.99.